Merels’ NWO PhD-project aims to provide in insight in the hydrodynamics of free stream turbines in complex geometries, by setting up a validated numerical model. The model should link the turbulent flow through a hydraulic geometry featuring HATTs and basin scale flow. The modelling choices are based on an experimental and numerical investigation of free stream turbines. 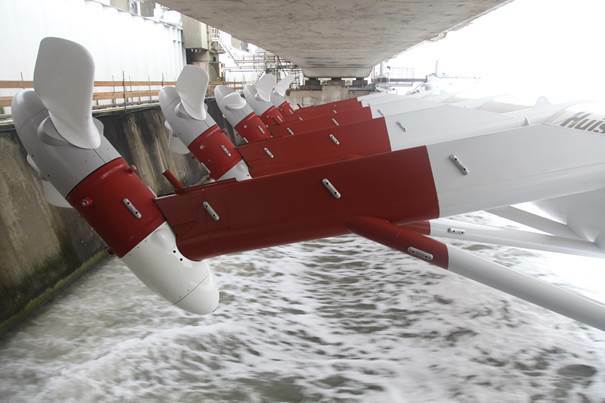 The project focusses on the situation near the Eastern Schelde storm surge barrier (The Netherlands), where in November 2015 five HATTs are implemented by Tocardo. 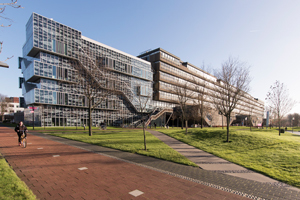 The public and private partners in this research are: Rijkswaterstaat, Tocardo International BV, Deltares, Dutch Marine Energy Centre (DMEC), Witteveen+Bos BV, Svašek Hydraulics BV and development programme OP Zuid (EU). The project runs from 2016 to 2020. The project is supervised by dr.ir. R.J. Labeur and prof.dr.ir. W.S.J. Uijttewaal. Foto: Tocardo International BV: turbines in the Eastern Scheldt storm surge barrier.